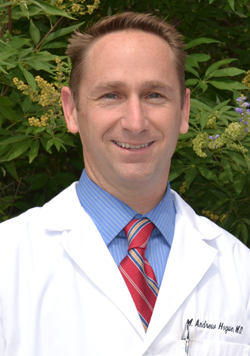 Dr. Hogue is a native of Edmond, Oklahoma. He attended Edmond Memorial High School and graduated with honors from the University of Central Oklahoma with a Bachelor of Science degree in Chemistry. He then went on to attend The George Washington University School of Medicine in Washington, D.C. where he received his medical degree. Further specialty training in Ophthalmology was received during his internship and residency in Norfolk, Virginia at the Eastern Virginia Medical School. He is Board Certified in Ophthalmology and is a Fellow of the American Academy of Ophthalmology. He also served as chief of Ophthalmology and Optometry for the Choctaw Nation Health Service where he was awarded the Outstanding Service Award for his dedication. He has lead the team with many excellent Optometrists and Ophthalmologists in this capacity. He now specializes in cataract and LASIK surgery including complete eye care services full time in Edmond, Oklahoma. He is a Certified LASIK Specialist with the VISX Eximer Laser with Wavefront Guided Custom LASIK. He enjoys serving his family and community as well as several mission organizations. He is a member of the American Society of Cataract and Refractive Surgery, Oklahoma State Medical Association, Oklahoma County Medical Association, and Baptist Medical and Dental Fellowship. He also enjoys participating each year with Mission Cataract which provides free cataract surgery to people who have no means to pay.